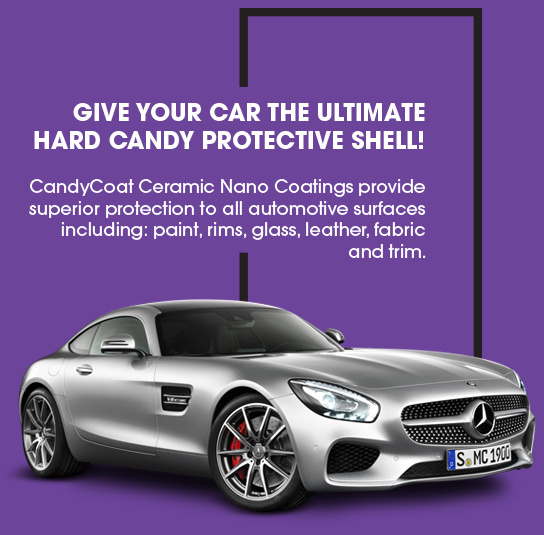 CandyCoat is a semi-permanent silicon dioxide (SIO2) based ceramic nano coating that provides YEARS of paint protection because it chemically bonds to your vehicle’s clear coat and does not wash off like a wax or sealant. The more pitted your car’s paint is with scratches, watermarks, swirls etc. the easier it is for dirt and other environmental contaminants to work their way into the tiny microscopic pores of your paintwork. 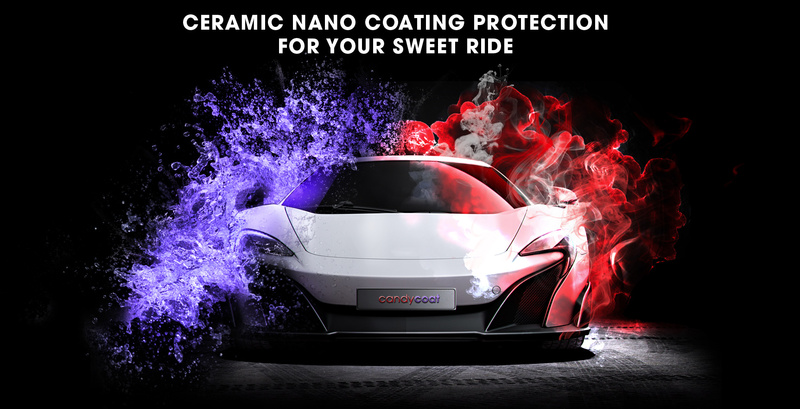 CandyCoat fills in these tiny pores to create an extremely smooth vehicle surface. The result is an easy to clean super hydrophobic finish that repels dirt, bugs, road grime, bird droppings and other environmental contaminants from permanently damaging your paint. We are committed to bringing the most innovative and dependable products to market through continual research and development. Our goal is to create the highest quality ceramic nano coating products while providing unparalleled customer service to the automotive industry. For that reason, our CandyCoat Pro is our professional level coating that can only be purchased and applied by Certified Installers and comes with a 6 Year Limited Warranty.